When Pebble showed up on the scene in 2012, there wasn't really a scene at all. The smartwatch market was barely nascent, before exploding into the huge industry it is today. 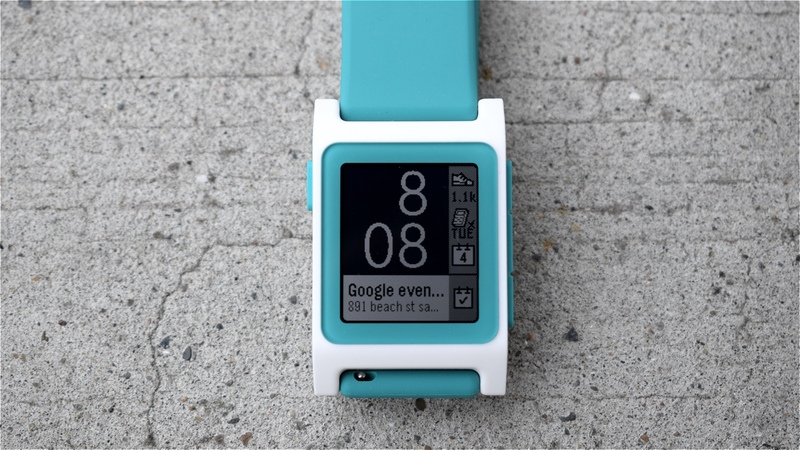 Yet Pebble's open, OS-agnostic approach has helped it keep its status as a bit of a wearable cult hero. While we've seen a handful of new Pebbles from the company since it debuted on Kickstarter, the Pebble 2 is the first true "sequel" to the original, and given how much Pebble has iterated since with its Time range you might wonder why it's reviving the blocky, monochrome e-paper display. We've been wondering the same. But there is some method in the madness. With the $130 Pebble 2, the company isn't chasing the same audience as most other premium smartwatch makers, instead taking aim at the likes of Fitbit and other entry-level fitness trackers. The question is, is there space for the Pebble 2 in 2016? Design will probably be the most divisive element of the Pebble 2. By the standard of today's mob of smartwatches and fitness trackers, it's not a looker, with a rectangular shape, monochrome 144 x 168 pixel screen and plasticky feel that doesn't scream style unless you're all about "geek chic". Its 22mm silicone strap comes with a quick-release mechanism, and the Pebble 2 now comes with a Gorilla Glass 3 display in place of the original's plastic one, making it more durable. However, that screen also protrudes a tad. But as mentioned, Pebble isn't targeting the same market Apple, Samsung or other high-end manufacturers are crowding in on; if you want something to complement your Sunday best you're better off waiting for the Time 2, which costs a little more at $199, but might be worth forking out for. It's just a shame that, after using the Pebble Time for some while, the 2 is such a noticeable step back in design. It does look better than the first – thinner and slightly better shaped at the edges – and it's comfortable to wear, with a range of colours to choose from: black, white, aqua, "flame" and lime. But there's almost as much bezel as screen here. It's also not the most inconspicuous thing I've ever worn: at a recent party I had three people ask me what was on my wrist. The Pebble Time 2, while pegged as the 'premium' of the two new watches, is much more of a looker and crams in the new heart rate monitor, with a longer battery to boot. The Pebble operating system has come a long way since the days of the cherry red smartwatch, now sitting at Pebble OS 4.0 with thousands more apps under its belt. We'll get onto software in a bit, but first let's talk new hardware features. The major new addition here is the optical heart rate monitor, which complements the Pebble Health platform that's been tracking steps and sleep since it was introduced last year. Pebble Health can also be integrated with Google Fit and Apple Health, along with a range of other third-party apps. Pebble CEO Eric Migicovsky told me he sees Fitbit as the company's main rival to the Pebble 2, and indeed with all of the fitness stuff now tied together, the watch is more of a competitor to something like the Fitbit Blaze. The heart rate monitor isn't just for workouts – it has a 24/7 mode as default where it will take a reading about every 10 minutes and draw up a graph in Pebble Health showing your fluctuations throughout the day and night. You'll be able to keep this going and still benefit from the watch's week-long battery life. Pebble's also stuck in 30M water resistance, so you can take it for a swim. Finally, there's a microphone on the right side of the watch, a feature that's been brought over from the Time and lets you send voice responses to messages (without impeding on the waterproofing). When it comes to apps, Pebble still rules the roost by a long way. Developers have continued to build and build, with some great watch faces and applications available. Many of the big names like Uber and Runkeeper have Pebble apps, but there are plenty of other unfamiliars to discover too. Already Pebble has a section of its store to showcase Pebble 2-focused software, including some apps making use of the HR monitor, and we'd recommend Pebble 2 owners start there. Many apps and faces still require you to download the companion app from the Play Store, but Android Wear users will be used to that (until Android Wear 2.0 rolls around), and with some it makes sense. We did some running with Endomondo, and installing the Pebble app meant we could choose, via the phone, which stats would show up on the watch in real-time. You'll also be getting all of the latest Pebble OS features, including Timeline which lets you quickly see what's happening (or has already happened), with information pulled from apps of your choosing – calendar, weather forecasts etc. It's one of Pebble's strongest features, and a good example of how far the watch has come along. But at its core, it's still the simplicity of interactions that I think is the Pebble 2's biggest charm. When I feel the buzz of an incoming message, it's on the display instantly, with no fancy animations harking a notification's arrival. Every button push is instant, each command instantaneous; every time I select an app it's open in a flash. So far I've had a few small software hiccups, including the Pebble struggling to pair with my phone at times, and occasional delays in some of the health notifications appearing, but these have been rare and will no doubt be ironed out with firmware updates. That aside, the Pebble 2 is incredibly responsive, which earns it a big gold star. As already mentioned, health is the big focus of the Pebble 2, with a built-in heart rate monitor, sleep and step tracking, and connectivity to Apple Health, Google Fit and other fitness platforms. Pebble's algorithms, worked on in partnership with Stanford University, have improved over time, and overall the Pebble 2 performs as a solid fitness tracker. I found that the heart rate monitor, on a daily basis, was quite accurate, although it fell down a bit when I took it out for a few runs in the park. Comparing it with a chest strap, I found the resting heart rate was pretty spot-on between the two, but Pebble 2 had a tendency to read 10 to 15 bpm higher than the strap when I was running. It performed better than some optical trackers we've tried, but still a bit off. Unlike workouts, sleep tracking happens automatically, detecting when you nod off and giving you a rundown of your sleep quality in the morning. Without proper lab conditions, or more substantial technology, sleep tracking in smartwatches and trackers is very rudimentary, tending to capture movement more than actual sleep data. Still, Pebble 2 was pretty good at working out when I had nodded off and woken up. In the Pebble Health section of the app you'll get a graph tracking how you've been sleeping, and you'll be notified of your progress each day with a little alert that will either congratulate you or give you a gentle ticking off for staying up too late. As Pebble Health learns your habits in step counts, workouts and sleep, it will start telling you how you're improving (or not, as the case may be) with alerts through the day. All of this will be complemented with third-party apps and watch faces, some of which are already on the store, and we're sure we'll be seeing plenty of developers doing interesting things with the Pebble's health and fitness abilities in the near future. Battery is the other place Pebble dominates the competition, and the Pebble 2 continues to impress. The seven-day battery life was confirmed in my testing, and I can't begin to tell you how great it feels to not have to charge my smartwatch each night. We test a lot of smartwatches at Wareable, and fumbling with chargers on a daily basis is one of our biggest bugbears, to the point I found myself pleasantly surprised every time I opened the menu and saw a nice big chunky amount of battery left. This helps the Pebble Health platform capture more comprehensive biometrics. Pebble also gets the upper hand on Apple and other smartwatches that offer sleep-tracking features without the battery to back them. Another big gold star, then. The Pebble 2 packs in a lot for its price, and there's plenty to love, but it's let down by design. If you're after an entry-level fitness tracker and don't care too much about how it looks, this is a solid choice; if it's a smartwatch you want, you may be better waiting and trying the Time 2 first.